A Catholic Ceremony can only be held in a consecrated space, that means inside a Church or in a sanctified private Chapel. There are always some exceptions as in Italy there are a few locations that have an external Consecrated floor. As for the Civil wedding, also for the Catholic Celebration multiple documents need to be presented: Baptism certificate, Confirmation certificate, certificate of attendance of Pre-Cana course, and ‘Permission of mixed religions’ in case one of the Spouses is not catholic. The ceremony usually takes around one hour and can be held in Italian, and translated by an interpreter, or by an English (or any other language) speaking priest. The Mass can include readings and accompaniment music, to be agreed upon with the priest. Please kindly note that not all the priests are open to non-Catholic music and readings. At least one witness for the Bride and one witness for the Groom is needed. Catholic ceremonies can also have a Legal value, as in Italy it is possible to request a ‘Cerimonia Concordataria’, in which case the priest has to read the articles of the law during the Celebration. If you decide to do this type of ceremony, you will need to provide all the required documents for the Civil ceremony beside the Religious Papers. If you have been married in Church before then you are not allowed to celebrate a second marriage, unless you have already obtained an official annulment from the Sacra Rota. 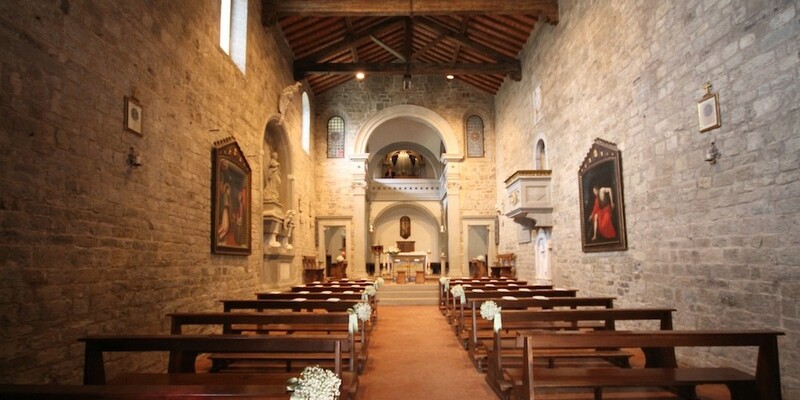 In Italy, Protestant Ceremonies can be arranged at Protestant Churches, romantic castles, renaissance villas, luxury hotels, Italian style gardens or on a terrace with a sea view. The Minister can perform, as a Public Magistrate, a Protestant ceremony with Civil validity according to the Italian Law, or can perform a religious blessing, and in this case, you will need a Civil marriage certificate. Italian Wedding Designer is available to help the couple with any required paperwork. Contact us!